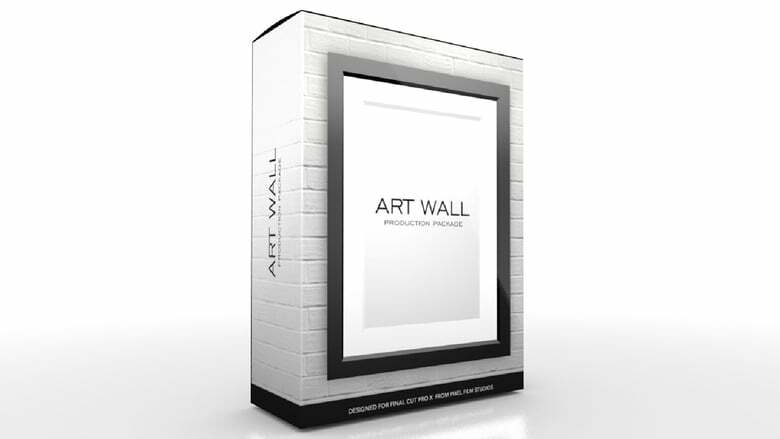 Aliso Viejo, California (THE WIRE PRESS) – “Art Wall brings your photos and videos to life within a beautiful 3D environment which will provoke new and exciting ideas for your next video project,” said Christina Austin – CEO of Pixel Film Studios. To start editing, choose a preset from the Generators browser to place in the FCPX timeline. The included presets feature two environment types and two frame types. Decide to use a landscape or portrait style frame and choose an environment type that includes pre-made camera movements or one that allows users to create their own by setting start and end points. Edit the colors, angle of the light and softness of the shadow to customize appearance. In this plugin the background key is the wall environment without the frame and is perfect as a backdrop for text and other media. Users can still adjust the angle of the wall and choose a camera animation from a drop-down menu. Change the colors of the wall to mach any style and adjust the angle of the light to create realistic shots.